Vintage fashions bring to light your unique admirations of your unsurpassed, old-fashion passions. Delight yourself with these dazzling and charming marvels. Show everyone that these captivating styles are still as charming and exquisitely beautiful as the day they were unleashed. First of all, so sorry for long hiatus...we VC were so busy, like busy as a bee throughout the year of 2010..Now we are back for good!! Secondly, we are proudly to announce that VINTAGE CACHET is having only 2 days sale in order to bring u all Vintage Lovers a new stocks, so we need ur help to clear our stocks..
in keeping with our flower power theme, here are a few vintage items that has got us drooling. steal the spotlight with these babies in gorgeous eye catching hues. 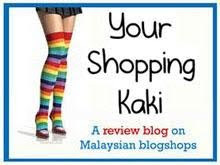 A special thanks to Blogmuffins & SHOPPERS BITE for reviewing us ^_^..really appreciate it..
We are new in town! You wont be bumping with other girls wearing the same outfit with you as Vintage is one-of-a-kind & you all sweeties know pretty much that Vintage clothing only comes in one piece..Hope you sweeties enjoy with this..Just cant wait for Batch 2. Unique piece, really thought its a DRESS but then its a JUMPSUIT!! Slightly defects at the sleeve. Mail me for d pic.. Striking Vintage Fashions are memorable beyond compare. These notable styles are fascinating. Discover the enduring appeal of our vast selection of captivating vintage fashions. 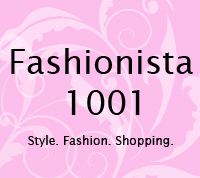 Vintage fashions are characterized by excellence, maturity, and enduring appeal, and are available for everyone. Why leave these aspirations in the past to be lost and forgotten? Enjoy searching a variety of clothing. F<?xml:namespace prefix = v />ind your old fashion passions and bring to light your old-fashion passion now! Marvel in this surpassing, and exceptional, melody, of stunning, vintage fashions only here, well of course here at ‘VINTAGE CACHET’. A girl that realized there were many girls like her who wanted to express their personal style with one-of-a-kind and unique apparel. Love the VINTAGE looks..So she decided it is time to continue the length of their existence by showing off these stunning & enchanting delights..For her its not late to rekindle your love & passions for something old-fashions as these delights carry an appeal that sparks emotions that are highly pleasing coz everyone takes a second look at optimum creations! * Kindly include Vintage Cachet email address to allow the bank to notify me if you're performing the payment transaction online. * Payment via machine, kindly email transaction receipt as proof of purchase. Thank you..
1.All items are vintage & in good condition unless stated. Accessories are not included unless stated. 2. 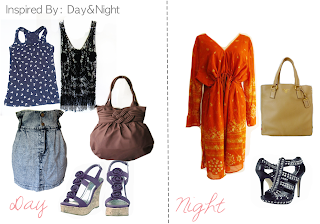 Colors of item/s may at times differ as a result of lighting. Measurements are taken straight across while garment is laid flat (INCHES).Please multiply by two for bust/waist/hip measurements. 3. Prices are FIXED and non-negotiable. 4. Serious buyers only please. No back out buyers. PLEASE be responsible with your order.It is advisable TO BE 100% SURE about your order before filling up the Order Form.International buyers are welcomed. 5. Items are sold on a first come first served basis. 6. Payments are to be made within 48 hours of order confirmation, or item/s will be released to the next buyer in line. 7. Any cancellations or amendments to order will not be entertained after the item/s has been paid for. 8. Buyers are to bear all postage costs. Items will be sent out every Mondays & Thursdays. 9. Vintage Cachet will not be held responsible for lost/stolen parcels as Vintage Cachet ensure utmost care is taken in packing & getting your items shipped. Please take note that the nature or behavior of others is beyond our control. 10. Email Vintage Cachet at cachetvintage59@gmail.com for further inquiries. Please give Vintage Cachet up to 24 hours to respond.